THE B-MOVIE NEWS VAULT: STOCK YOUR VAULT: New DVDs & Blu-rays for 09/12/2017! STOCK YOUR VAULT: New DVDs & Blu-rays for 09/12/2017! Welcome back to yet another edition of STOCK YOUR VAULT! We're just about halfway through September, and there's a pretty good number of genre releases out this week! 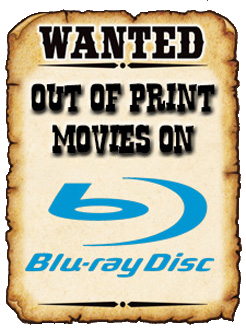 Along with several "must have" titles, there are a bunch of bargain-priced DVD and Blu-ray collections for those of you looking to get more bang for buck! Arrow Video finally brings their Special Edition of THE GHOUL to DVD & Blu-ray (after numerous release date changes), Synapse unveils their new documentary, THE CREEP BEHIND THE CAMERA (which comes with THE CREEPING TERROR if you buy the Blu-ray!) and new 2-disc release of PHENOMENA, and VCI gives RUBY its Blu-ray debut! Scream Factory brings the H.P. 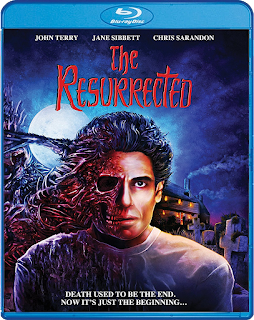 Lovecraft adaptation, THE RESURRECTED to Blu-ray in a really awesome release (details HERE), and both IT COMES AT NIGHT and the (failed?) flagship film of Universal's "Dark Universe," THE MUMMY, are also now available on all formats! There's plenty more where that came from, so be sure to scroll down for the full list of this week's DVD & Blu-ray titles! Contains: Epicenter, Chain Reaction, Militia, The Day the Sky Exploded, Slipstream, To Survive, Escape from Alaska, and Fire From Below. Contains: Big Driver, Manson's Lost Girls, Hush Little Baby, and Devil's Diary. Contains: Phantasm, Phantasm II, Phantasm III, Phantasm OblIVion, and Phantasm: Ravager. Contains: Psycho, Psycho II, Psycho III, Psycho IV: The Beginning. Contains: The Snow Creature, The She-Beast, Chupacabra vs. The Alamo, Blood Predator, and Curse of the Wolf.